During one of those classroom lulls in college, students would joke around and generally just talk about "stuff" which is anything under the sun, really - movies, tv, university life, homework, relationships - anything. There wasn't much to do especially if it's just a one-hour class and the professor had to leave half hour early. That's until one smart guy at the back of the classroom egged his buddy next to him to armwrestle. Watching the two guys get it on with their arms locked on the writing surface of a classroom chair was interesting. Besides, there was nothing else to do but while away the time. When it was over, one their buddies challenged the winner. It was actually fun watching and anticipating who'll win. 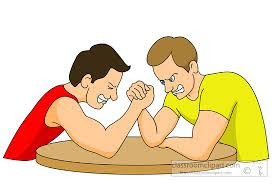 Armwrestling, after all, isn't even a sport in this country so when you see guys arm wrestle, you know it's out of whim. 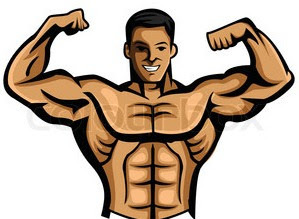 Basically, it was just a display of brute strength of biceps and maybe back muscles. It was just for fun and nobody really knows of specific armwrestling techniques. Neither was this incident by Stallone's movie "Over the Top", which came out a few years later. Soon the other guys were pairing up. It looked like fun anyway, so everyone seemed eager to join in and try their arm strength. I was seated in front of the class when all this was going on. I was relatively quiet way back in college and had a small circle of friends. I was amused, more than anything else, by my classmates' grunting, posturing and muscle-flexing as they paired up to armwrestle. Well there was this guy and his name is Rolly, who motioned to me if I wanted to arm wrestle. Thinking nothing much about it, I said "okay" and muttered to myself "might as well try it." Now Rolly wasn't a particularly big with muscles, but he was lean and active. Also, he was a bit taller than I was. I guess that gave him the confidence to challenge me to armwrestle. And because he had longer arms, he used this leverage to his advantage. My armwrestling match with him wasn't easy and was a long struggle. I remember his right arm and mine locked vertically for quite some time, hardly wavering more than a few degrees. Soon, the entire armwrestle felt like a totally isometric exercise - exerting maximal effort against an immovable object. With both our arms shaking, it seemed that the outcome of the match would be determined as to who will tire first. I remember being focused and looking down on my right shirt sleeve at the bicep rather than at him. I was wearing a light yellow polo shirt and I felt like my right bicep was swelling up with the intense effort. Several guys were watching us. I think this activity gets plenty of spectators. Anyway, I suppose his arm tired out first and, slowly, I was able to beat him. Rolly was a sport and took his "loss" casually. He did acknowledge that I was strong for my size. After the match, I felt my right arm (bicep and triceps) was still pumped up and hard. Another classmate, Lito, must've noticed it too and exclaimed "Ang laki ng braso!" (Gosh, what a big bicep!) for everyone to hear. Well, compared to me, Lito was visibly skinnier. Lito was more impressed by how big and hard my arms looked. But still, how COOL was it to hear that? Waay cool! After that, I was practically fired up the entire day. I must admit I totally surprised myself when I beat this taller guy, and then impressed another with a pumped-up upper arm. I later realized how my secret weight training workouts with an improvised barbell resulted in strength gains that I took for granted. And this incident motivated me more to pursue weight training and bodybuilding exercises later in life and even build my own exercise equipment.